In today's data-driven business environment, CEOs and board members are applying extra pressure on their CFOs to provide them with real-time, data-backed decision support. 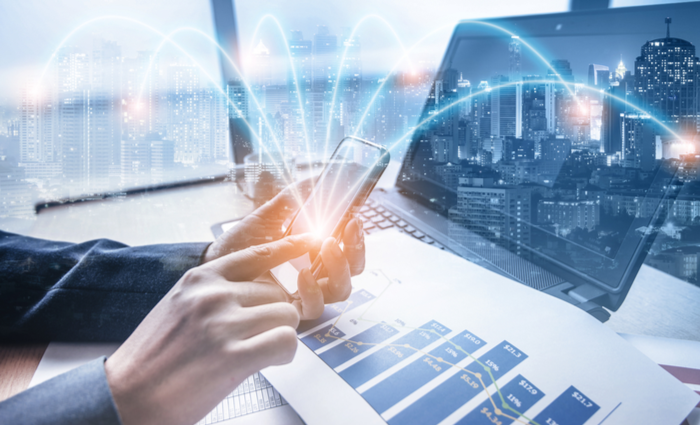 However, many CFOs are still not sufficiently connected with the various digital-transformation efforts, even if they manage the business information that facilitates those initiatives. While most CFOs say that they would spend more time on such digital initiatives, they still spend more time on traditional finance activities than they do on digital trends. All too often, financial officers are okay with the idea of letting their colleagues in other departments, such as IT or marketing, press the issue, probably hoping that the problem will somehow resolve itself. The fact of the matter, however, is that because of the rapid arrival and introduction of these new disruptive technologies, alongside a general lack of qualified talent, many CFOs are not sure where to start. If they ignore the problem much longer and don’t start experimenting with these technologies and the resources at their disposal, they risk becoming obsolete and will take a secondary role behind more functional groups or positions within the organization. Here are several points that CFOs need to take into consideration in order to know where to start.. In the McKinsey Global Institute’s automation research, it was revealed that emerging technologies could fully automate around 42% of all financial activities and mostly automate another 19%. This means that CFOs can streamline and optimize the entire process by simplifying core internal transactions through automation. A particularly useful tool used by most leading finance groups is robotic process automation (RPA), a type of automation software that's used to do repetitive and tedious tasks, ensuring quick, efficient, and error-free completion. RPA technology will also free up corporate employees to focus on more valuable work. Data visualization is all about improving the overall organizational performance. This should not come as a surprise to anyone; however, good resource-allocation decisions can only occur if they are based on accurate, real-time financial data. Without the proper tools at their disposal, financial teams find it hard to piece together this information. Teams sometimes lack access to this data because it's stored in different parts of the company, or because it's in incompatible formats. By bringing together automation and data visualizations, some finance organizations create timely, accurate, clear, and actionable business reports. Most businesses today, regardless of industry, are using advanced analytics to discover relevant insights to improve their decision-making. Likewise, CFOs can use advanced analytics to administer better and supervise standard financial transactions and core processes. Once a CFO is knowledgeable about the power of advanced analytics, they can come together with the CEO and members of the board to discover new ways of utilizing this technology for better decision-making and uncovering new sources of business value. These include examples such as price optimization, fraud prevention, customer pain points and experience, talent management, etc. Keeping up with the latest trends and understanding the inner workings as well as the benefits of these disruptive technologies is the key for CFOs to remain relevant in this fast-changing business environment. If you are interested in increasing transparency, optimizing your financial operations, spending less time on administration, and a better understanding of your financials, check out the Consero Financial Solution. From bookkeeping and controller services to finance and consulting, Consero will provide you with higher levels of financial insight and control. What is the cost of outsourced accounting? What is the Evolution of the CFO?